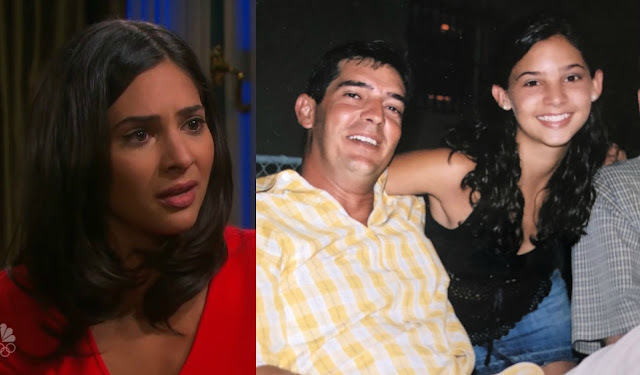 Days of Our Lives' Camila Banus Reflects on Her Late Father During JJ's Suicidal Attempt Storyline! Days of Our Lives' is not just telling a story for telling a story's sake but is bringing awareness to a very important and yet touching subject! And, this story has a connection to one of the stars on the show who apparently lost her father this way. Camila Banus who assumes the role of Gabi Hernandez on the show, revealed today on Twitter that the current 'Days' storyline is a really important subject for her and her life. "Thank you [Ron Carlivati] for these wonderfully written scenes that share such an important message.This story is for my dad," the actress shared. As viewers would've seen, JJ Deveraux (Casey Moss) contemplated ending his own life when the situations at hand were too much to bear. Camila's character played an integral part in helping JJ and in turn brought many to tears as they watched those Gabi/JJ scenes. We are, however, sorry to have learned that Banus lost her father this way and wish to highlight her outstanding work done in the episodes surrounding this subject. Soap Opera News: Days of Our Lives' Camila Banus Reflects on Her Late Father During JJ's Suicidal Attempt Storyline!